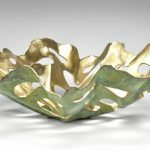 By pairing the strength of bronze and copper with the delicacy of design and patina, I hope to engage the viewer in new exploration. 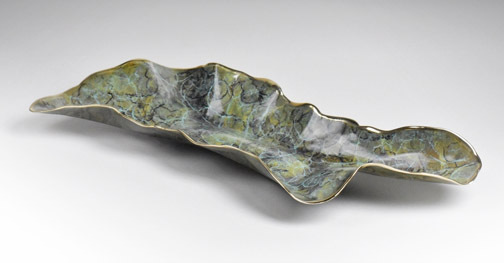 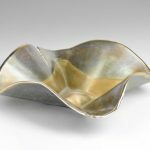 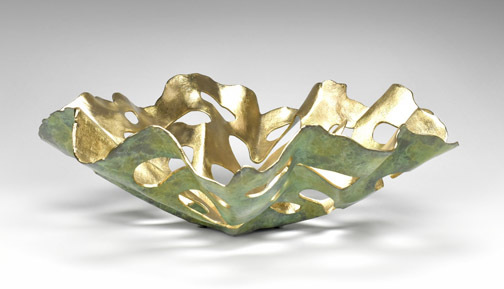 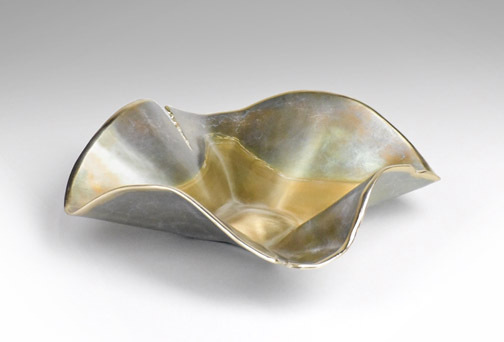 Ultimately, each piece is created to draw focus to the tension between the solidity of metal itself and the fluidity of that occurs in the natural world. 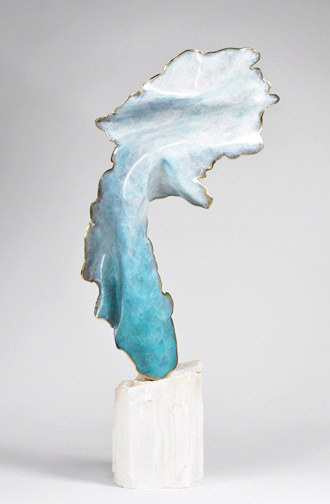 My creative process requires a similar tension as I strive to balance intentionality with the spontaneous moments that happen throughout the casting and patina process. 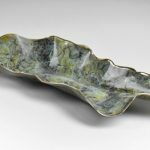 This dual goal allows my pieces to tell a different story of form, function, and flux to each viewer, whether in the sterile environment of an art gallery or as a centerpiece in a home or office.